Prints are available, please email contact@paulalexandrejohn.com for more information. 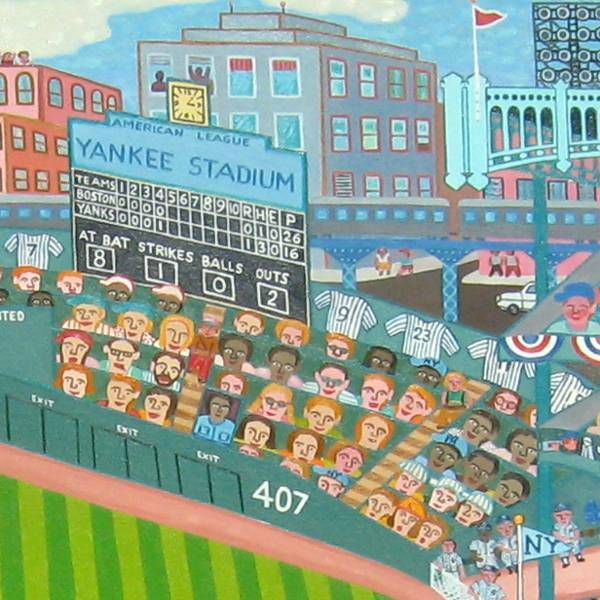 Old Yankee Stadium is one of Paul Alexandre John's famous masterworks, a culmination of fifteen months of continuous work. At over five and a half feet wide and four feet high, and with close to eight-hundred people, it is easily one of his most detailed and exhaustive paintings. 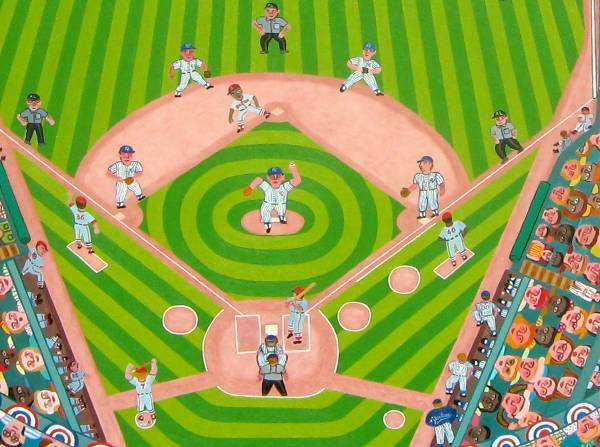 In July 1997, Paul had already been exploring baseball themes. 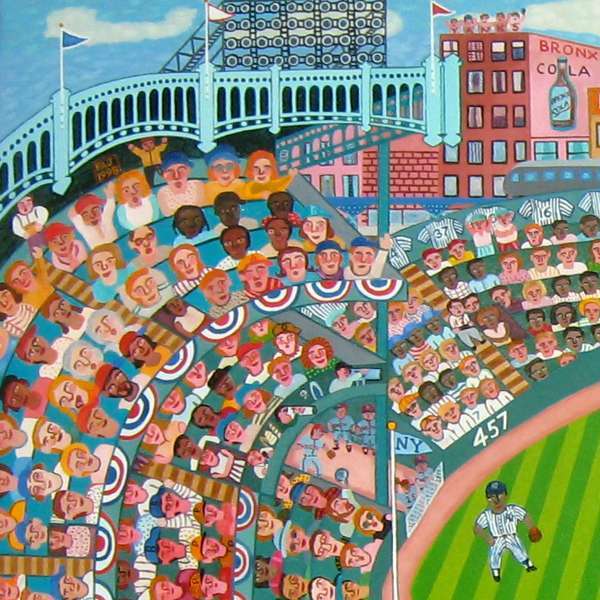 Now he wanted to paint the historic Yankee Stadium, where he sought to capture the mystique of the old park where so many stories had unfolded over the years. Before beginning, he did extensive research on the old diamond, using vintage baseball programs and books of baseball history to guide him. 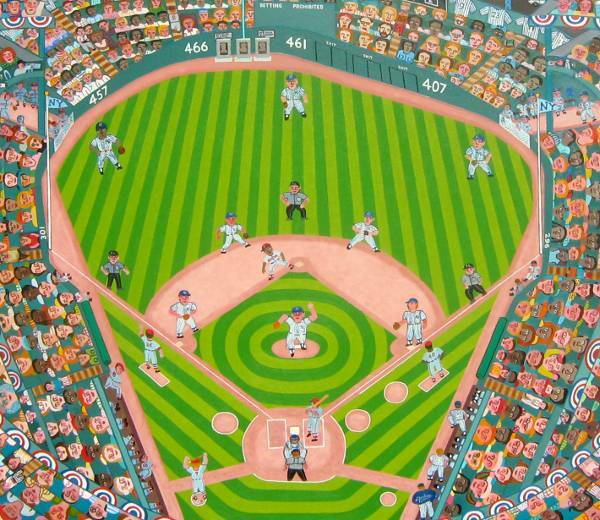 Once he began, Paul's focus was to accurately recreate the famous stadium while maintaining his unique artistic style. During the time he spent painting, his biggest challenge was the many, intricate details that found their way into the painting. 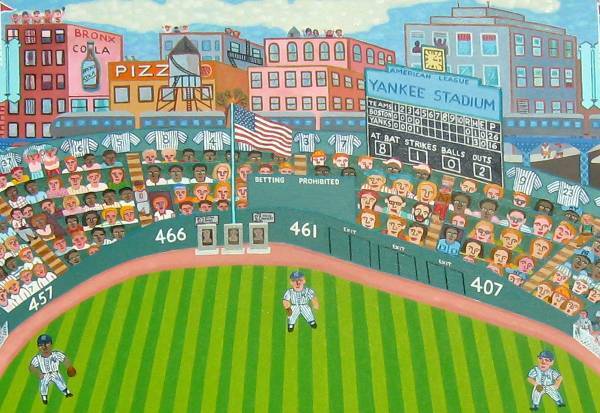 These time-consuming details made Old Yankee Stadium take fifteen months to create. However, by working slowly and steadily, Paul completed the painting. Paul decided to pit the Yankees against their bitter rivals, the Boston Red Sox, because he felt the two teams go “hand-in-hand”. 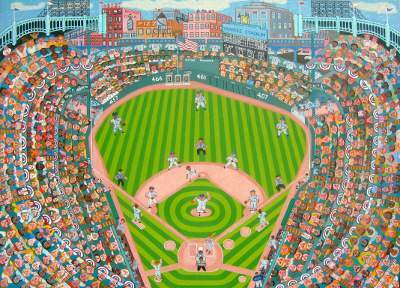 Asked why he likes the painting, Paul remarked, "It has a sense of jubilant atmosphere and captures the essence of the game because of its simplicity." The painting is as large as it is detailed. 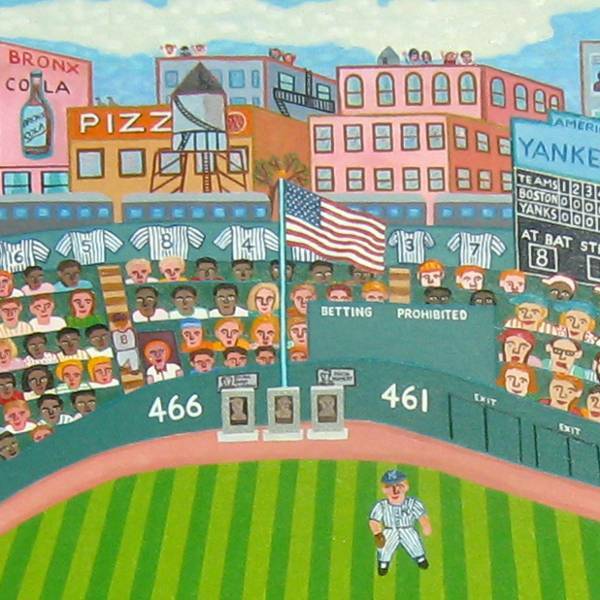 With its large dimensions (68 inches by 48 inches), and nearly eight-hundred people, Old Yankee Stadium truly is, as Paul describes it, a labor of love.